This past weekend marked the retirement of New York City Ballet principal dancer Wendy Whelan, 47. The ballerina with the aquiline profile and sinewy limbs is certainly not ending her performing career. Whelan will tour her Restless Creature, an evening of duets created in partnership with four contemporary choreographers, throughout the US in 2015, including San Francisco in January. The severe demands of the technique on the body lead ballet dancers to retire by 40, so Whelan’s uncommonly long performing career fuels the ongoing conversation about the invisibility of the aging body in dance, which Bay Area choreographer Randee Paufve recently addressed with her piece Soil. Whelan’s move toward contemporary dance casts a light on the hierarchy that exists among dance forms, of which some allow more flexibility when it comes to performing at a later age. 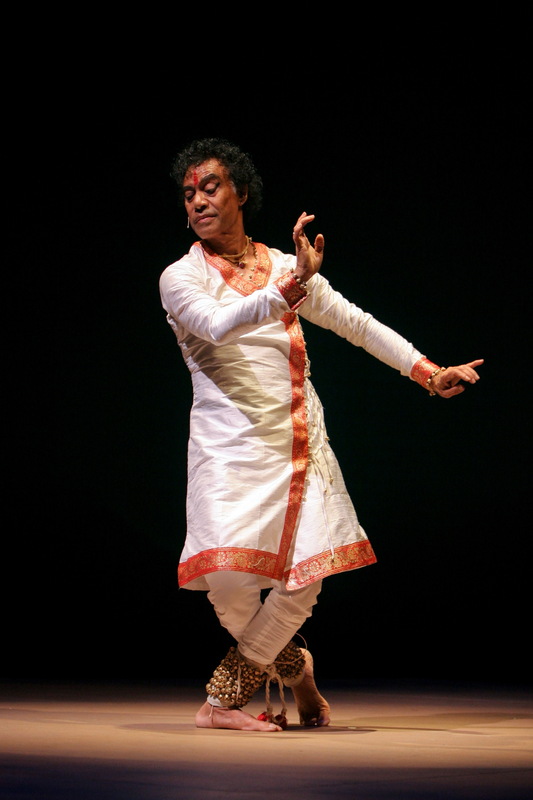 We have only to look at the recent performances of Anna Halprin, 94, Simone Forti, 79, and Pandit Chitresh Das, 69, in the Bay Area. Forti and Halprin performed as part of the 2014 Bridge Project, a program framed around the postmodern lineage curated by choreographer Hope Mohr. During the same weekend, revered Kathak dancer and teacher Das collaborated with flamenco dancer Hidalgo Paz, illuminating the many similarities between the Indian and Spanish traditional dance forms. From his facial muscles to his toes, Das’ whole body participated in sharply asserting the scorching rhythm brought forth by the musicians playing just a few feet away from him. Das will turn 70 in November, yet his body does not seem to have aged, to the extent that he is being studied by sports bio-mechanic scientists. In a recent study, a sports specialist described his heart rate under exercise as “comparable to sprinters or athletes who achieve these levels for short periods during peak performance.” His formidable energy was infectious, even for those seated in the back rows of the Palace of Fine Arts. With its embrace of pedestrian gestures and disregard for virtuosity, postmodern dance gives more room to the aging body onstage. In The Crone and The Courtesan, Halprin stood stoically before the audience, her face hidden behind the Venetian mask of a courtesan, her body cloaked in a full length Rococo-style golden coat. With a decisive index finger, she pointed to invisible objects of desire, and the assertive gesture was enough to convey that she couldn’t be resisted. She seductively lifted a side of her gown, uncovering an elegantly shaped calf and thigh in white tights. Her hip sways, head and arm gestures have retained their youth, so much so that behind her disguise she could easily fool the audience into believing they were watching a much younger performer. At the end of her performance, as she removed her mask, she gasped and ran to the wall for respite. Was she horrified by the loss of youth? Or distraught at the courtesan’s crimes of vanity? Halprin’s irrepressible boldness and youthful spirit shone throughout the evening, from her talk previewing her performance to the post show conversation. 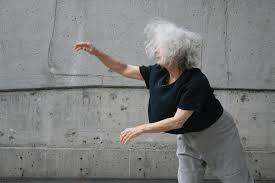 Forti, her hair dancing above her like a light white cloud, blended improvised movements and words. She evoked the haunting images of a fig tree in the wind with bleak snapshots of war-torn Syria, the Golan Heights, and California canyons, blending the personal and the political with careful intention. The sincerity and matter of factness that carried through her performance could only come from years of practice and a honed perspective. She managed to transcend the art form, providing an experience as crystalline as water, devoid of the composure that often accompanies presentational dance. The drama her performance communicated didn’t arise from overtly affected sentences or gestures, but instead erupted from the uncanny collision of the softness of her body and gentle vocal tone with the seriousness of what she was communicating. Coupland ponders whether dance could become a space that challenges common perceptions about the invisibility and “unwatchability” of the aging body. Not all dance repertory makes it feasible for older dancers to perform. Nor do all dance artists want to be onstage in their sixties, let alone seventies or eighties. Forti, Halprin, and Das are exceptions to the norm. But they are a potent reminder that if the body is a vessel of history and memory, a part of our collective and personal culture is lost when only the young and athletic body is presented on stage.